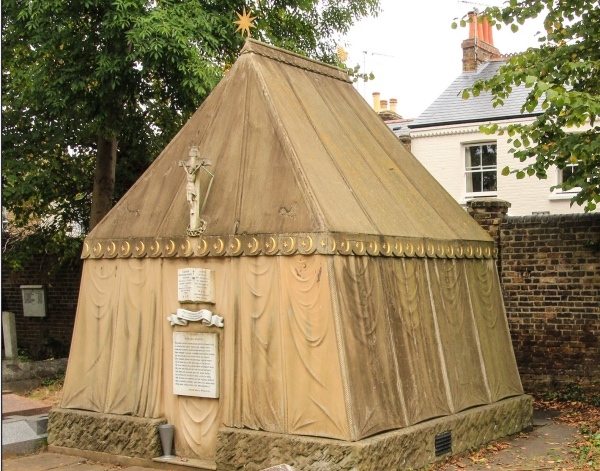 One of the more uniquely designed tombs in London, that of Victorian explorer, soldier, linguist and diplomat Sir Richard Burton (1821-1890; not to be confused with the actor of the same name) was created in the shape of a Bedouin tent. Located in the cemetery of St Mary Magdalen Roman Catholic Church in Mortlake in south-west London, the Grade II* tomb was designed by Burton’s strongly Catholic wife, Isabel, Lady Burton (1831-96), who is buried in it with him (his body was brought back from Trieste, Italy, where he expired; hers added after he death several years later). The tent’s form was apparently inspired by one the couple stayed in during a visit to Syria. The tomb, which is constructed of stone from the Forest of Dean and Carrara marble and topped with two gilt stars, looks a fitting tribute for Burton who not only took part in the search for the source of the Nile but also scandalously translated the texts The Arabian Nights, The Perfumed Garden and The Kama Sutra into English. The coffins of the couple can be seen inside the tomb through a large window in the rear of the roof which is accessed by a short ladder. The interior is also decorated with a range of items including religious paintings, statues and other items symbolic of the Catholic faith as well as strings of camel bells. The inscription on the front of the mausoleum features a commemorative sonnet by poet Justin Huntly McCarthy as well as the inscription, “This monument is erected to his memory by his living countrymen”. The tomb was restored in 1975 and more recently in 2012-13. The interior of the church also features a memorial to Burton (who actually described himself as an atheist). It takes the form of a stained glass window which depicts Burton as a medieval knight. WHERE: St Mary Magdalen Church, 61 North Worple Way, Mortlake (nearest overground station is Mortlake); WHEN: Reasonable hours; COST: free; WEBSITE: www.stmarymags.org.uk. 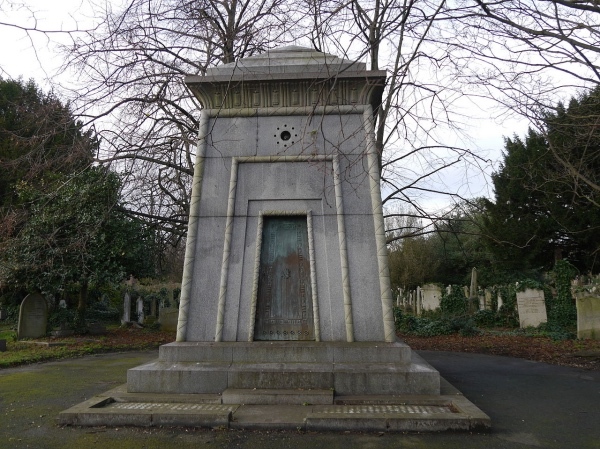 The mausoleum of wealthy London socialite Hannah Courtoy, located in the grounds of Brompton Cemetery in West London, resembles something akin to an Egyptian-style tomb monument – making it a rather unusual addition to the graveyard. But more bizarre still is that some believe it may contain a time machine. Courtoy, who had controversially inherited a fortune from merchant John Courtoy with whom she had three daughters but never married, died in 1849. 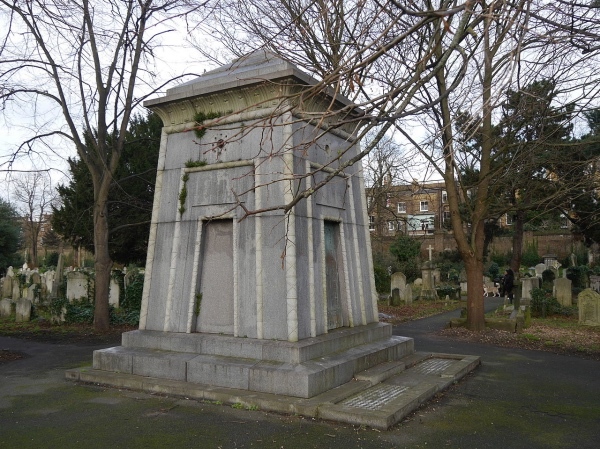 She was buried in this rather odd-looking mausoleum (along with two of her three daughters). It has been claimed that the tomb was designed by Joseph Bonomi, a sculptor and Egyptologist who is actually buried only a short distance away, with those who believe so pointing to Egyptian imagery – including scarab beetles, a symbol of eternal life – decorating the tomb’s imposing bronze portal as evidence of his involvement. And that’s where the time machine idea also comes in – some Victorians were known to believe that the ancient pharoahs of Egypt had discovered the secret of time travel and it has been floated that Bonomi might have discovered this secret when on expedition in Egypt, brought it back with him to London and employed what he learnt in the construction of this mausoleum (hence why it took four years to build). The claims around this tomb are that the mausoleum, located close to the centre of the cemetery, is not in fact a time machine but some kind of teleportation device. And that the builder, working in collaboration with Bonomi, was Samuel Warner, the inventor of the torpedo, who is also buried nearby, this time in an unmarked grave. WHERE: Brompton Cemetery (South Gate off Fulham Rd. North Gate off Old Brompton Rd) (nearest Tube stations are West Brompton and Earl’s Court); WHEN: 7am to various closing times daily; COST: free; WEBSITE: www.royalparks.org.uk/parks/brompton-cemetery. PICTURES: Edwardx (licensed under CC BY-SA 4.0). 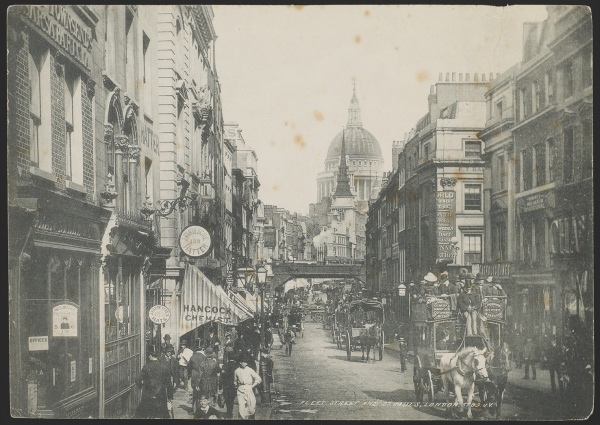 Designed by Witherdon Young, this 24 metre long arcade on the Strand was built in 1830 and was famously topped with glass domes. 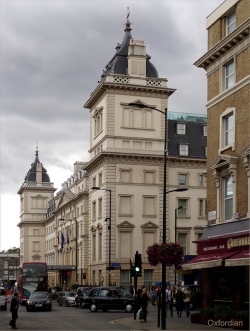 Named after Lord Lowther, Chief Commissioner of the Woods and Forests, when this section of the Strand was improved, the arcade’s 24 small shops initially sold luxury goods and various items but by the mid 19th century they were nearly all toyshops, making this a popular place for children (and particularly so, one might assume, at Christmas time!). The northern part of the arcade was initially home to the Adelaide Gallery, described as a “National Gallery of Practical Science, Blending Instructions with Amusements” – this part of the building later became an amusement hall and then a puppet theatre. 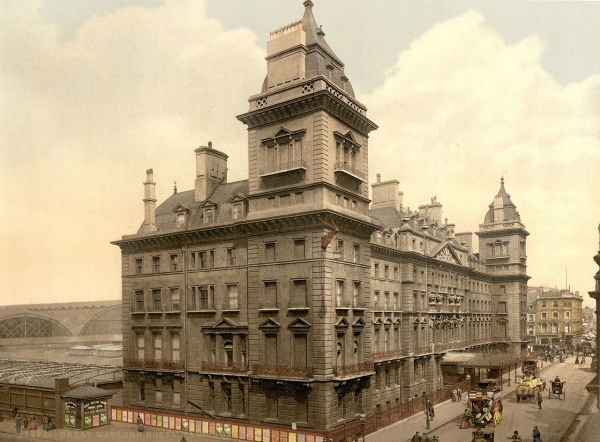 The arcade was demolished in 1904 to make way for the construction of Coutts Bank. 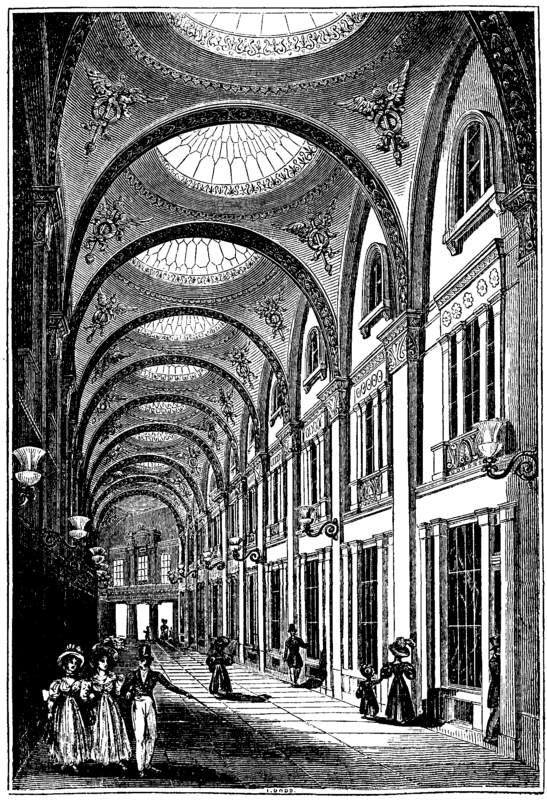 PICTURE: Lowther Arcade as seen in an engraving published in a periodical in 1832. 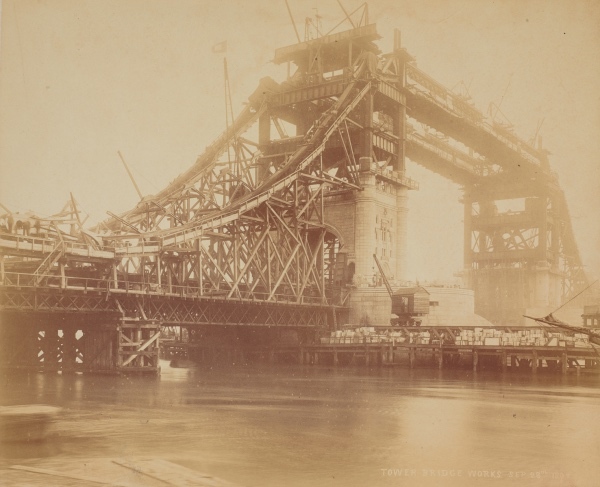 Designed as London’s response to the Eiffel Tower, Watkin’s Tower was the brainchild of railway entrepreneur and MP Sir Edward Watkin. 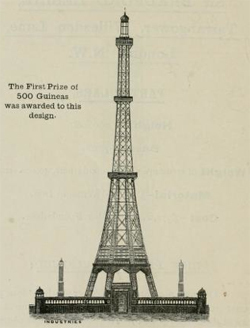 Following the opening of the Eiffel Tower in 1889, Watkin wanted to go one better in London and build a tower than surpassed its 1,063 feet (324 metres) height. He apparently first approached Gustave Eiffel himself to design the tower which was to be located as the centrepiece for a pleasure park development at Wembley Park in London’s north (which, incidentally, would be reached by one of Sir Edward’s railway lines – he opened Wembley Park station to service it). But Eiffel declined the offer and Watkin subsequently launched an architectural design competition. 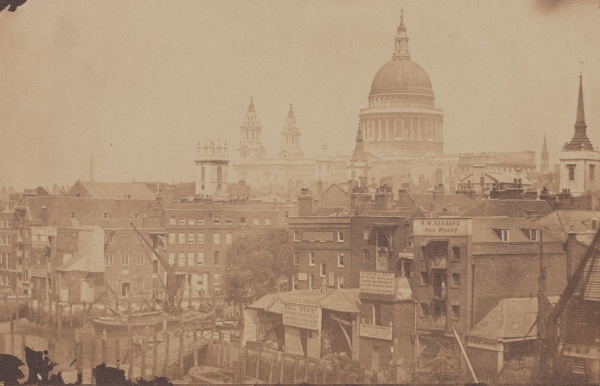 Among the 68 designs received from as far afield as the US and Australia were a cone-shaped tower with a railway spiralling up its exterior, a Gothic-style tower (also with a railway), a tower topped with a 1/12 scale replica of the Great Pyramid, one modelled on the spire of Bow Church in Cheapside and one topped by a giant globe (you can see the catalogue of all entries here). The winning entry was submitted by Stewart, MacLaren and Dunn who proposed a steel eight legged tower soaring 1,200 feet (366 metres) into the sky. To be lit with electric lighting at night, it came with two observation decks with restaurants, theatres and exhibition space as well as winter gardens, Turkish baths, shops, promenades and a 90 room hotel as well as an astronomical observatory. The top of the tower would be reached by a series of elevators. The first stage of the project – formally known as London Tower or the Wembley Park Tower – had still not been completed when Wembley Park opened in May, 1894 – standing 154 feet (47 metres tall), it was finally finished in September the following year. It was to never rise higher. 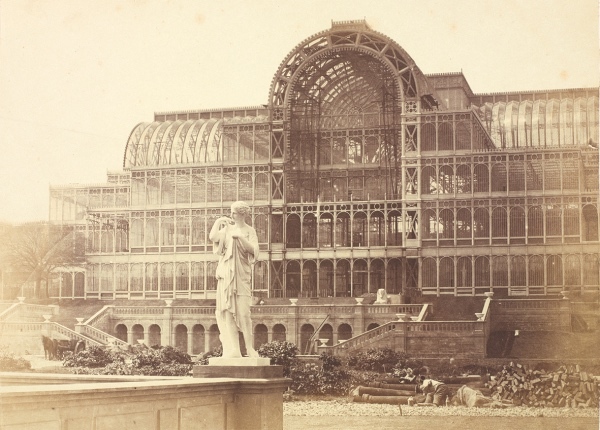 The project become mired in problems – Watkin retired through ill health (and died in 1901), the structure started to subside and the construction company went into liquidation. 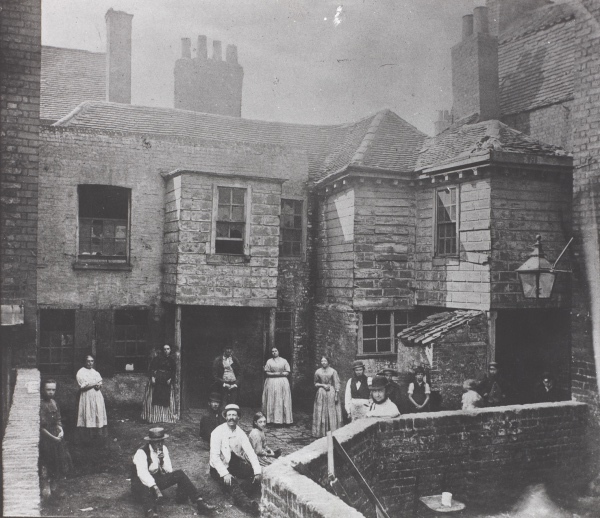 Dubbed Watkin’s Folly and the London Stump, what there was of the tower was eventually demolished between 1904-1907. While the dream of the tower never came to be, the site nonetheless became a popular vehicle for recreation and the site was later used for the 1924 British Empire Exhibition with Wembley Stadium built over the spot where the tower had once stood.